A in right field. PLC in Exergue. 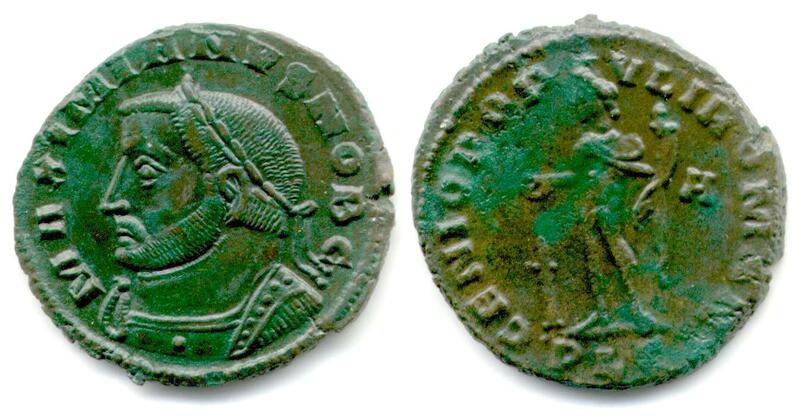 The image below was photographed by Atlantis Quality Ancient Coins. The image above is my own scan. Sutherland, C.H.V., "Roman Imperial Coinage", Volume 6 (RIC), Lugdunum, p252, nr 166b. Van Meter, D., "Handbook of Roman Imperial Coins", p281, nr 29, variation with Ol/6.